Bocafloja is a multi-disciplinary artist; film, music, poetry, photography, design, and theater are some of his mediums of creation. Decoloniality, third space theory, body politics, African Diaspora in Latin America, and intersectionality are fundamental topics addressed in his body of work. 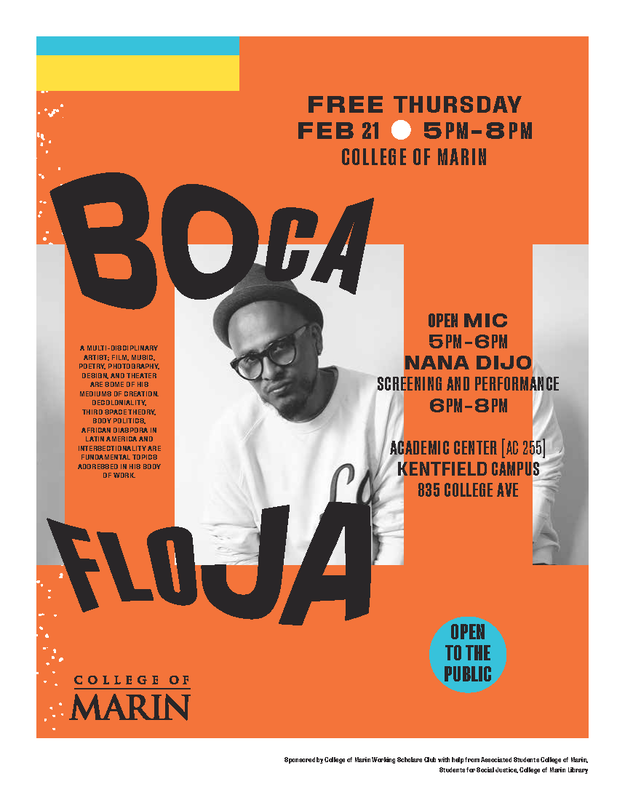 Open mic: 5 p.m. - 6 p.m.
Nana Dijo Screening and Performance: 6 p.m. - 8 p.m. Sponsored by College of Marin Working Scholars Club with help from Associated Students College of Marin, Students for Social Justice, and the College of Marin Library.